Lid screws are exposed for easy enclosure access (if you require higher security see our watertight flanged lid version). 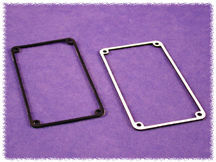 Lap joint construction and a separate - self adhesive silicon gasket is included. 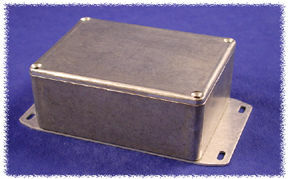 Providing protection against access of dust and water. 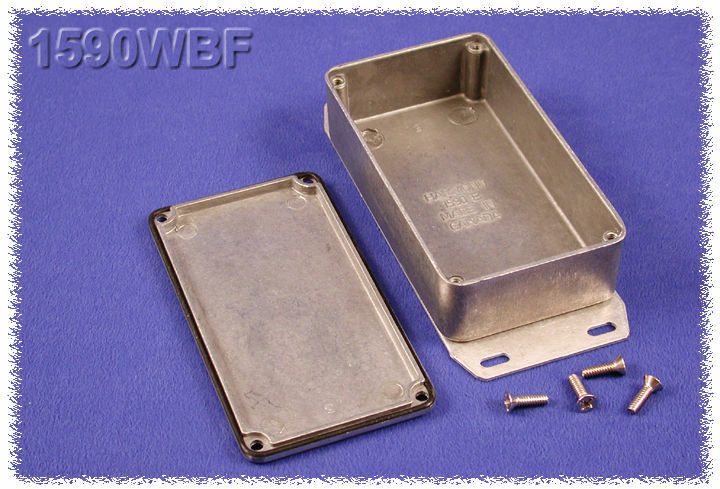 Quantity four (4) 6-32 x 1/2” stainless steel, machine screws secure lid (or six (6) in 1590WBX, 1590WBX2, 1590WDF, 1590WDDF, 1590WEF & 1590WR1F or eight (8) in the 1590WFF) - into factory tapped holes. See drawings and/or photos for details. 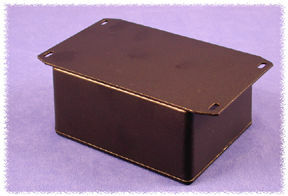 Available in natural vibra finish OR in light textured, powder paint in Black. This series is the same as our 1590 "F" diecast aluminum except with a bead of rubberlike silicone around the perimeter of the lid. 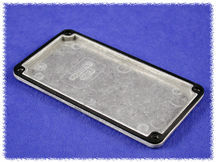 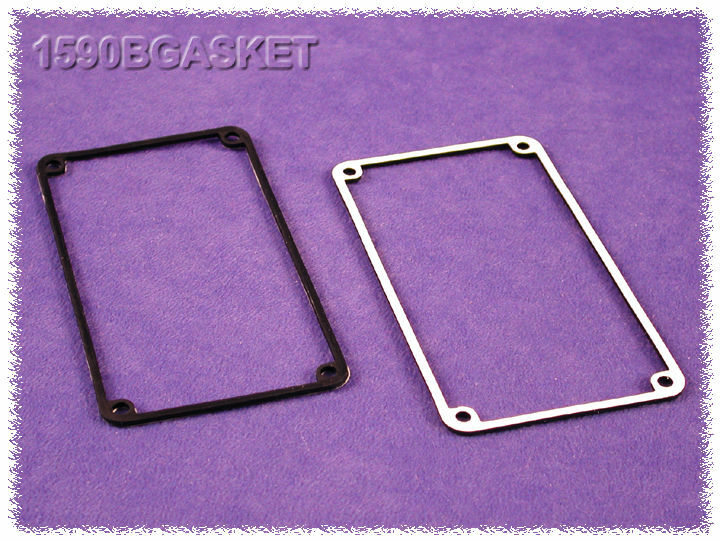 Each replacement kit includes two pre-formed silicon gaskets.